The Roma Swimming Pool Chair creates an ideal solution for wheelchair users who find weight bearing difficult. It has legs that drop down allowing one or both back wheels to be removed. 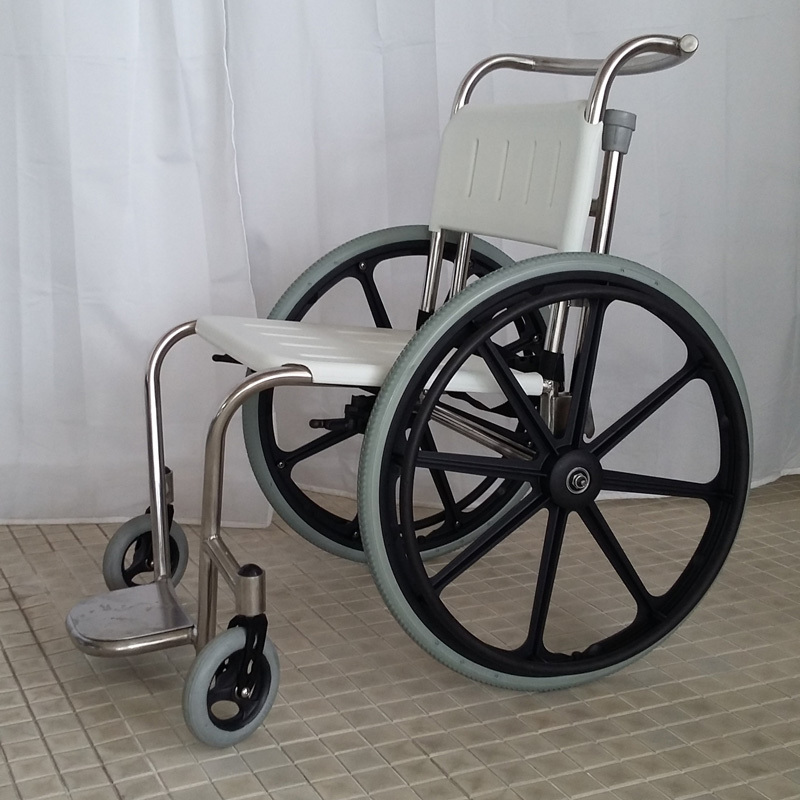 The advantage of the wheel removal is that it enables and smooth transfer to a changing bench without having to lift over the extra height of the wheel. For swimmming pools and clubs, the Roma Swimming Pool Chair is an essential aid to provide for those with a disability which requires use of a chair to enter the pool where where either a slopping beach entry or a pool lift is available. It can also be used as a shower chair or in a steam room for example. It is manufactured from marine grade stainless steel, developed from the orginal design of the GB Paralympian Rugby chair with input from Great Yarmouth and Waveney Special Olympians. It is manufactured in Wales by Roma Medical.